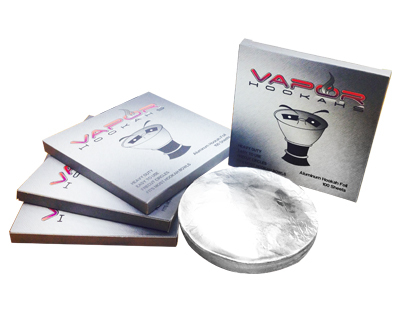 This pre-cut hookah foil by Vapor Hookahs takes the fuss out of foil! This hookah foil was designed for smoking hookah and contains zero added chemicals or coatings, so it wont give you the headaches household aluminum foil is known to do! 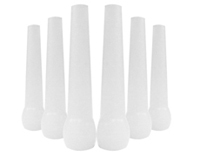 The pre-cut circular shape is excellent for placing the hookah foil on the top of your favorite hookah bowl with no annoying pointy edges. Just pack your hookah bowl, place the foil on top, poke some holes and you are good to go! Each pack comes with 100 pieces to ensure you have many fantastic hookah sessions ahead of you!